Today, I read a press release from a new company called Circulation, which is partnering with ride service Uber to deliver rides to medical appointments. According to the company, each year about 3.6 million patients across the U.S. — including 1 million children — miss at least one appointment due to lack of access to transportation. Circulation hopes to take a bite out of this problem by improving the logistics of such transportation, in part by tying its systems in with hospital information systems. To me, it’s obvious that this is an excellent idea, and a long overdue effort to solve the problems of a broken patient transport model. But it just scratches the surface of the need that exists out there. If healthcare organizations are going to take on risk-bearing contracts, they are going to have to do more than address transportation issues for low-income Americans on Medicaid. Sophisticated healthcare providers need to start thinking strategically about every opportunity they have remove obstacles to receiving care. And that means that they’ll have to stop treating healthcare services as though they occur in a vacuum. 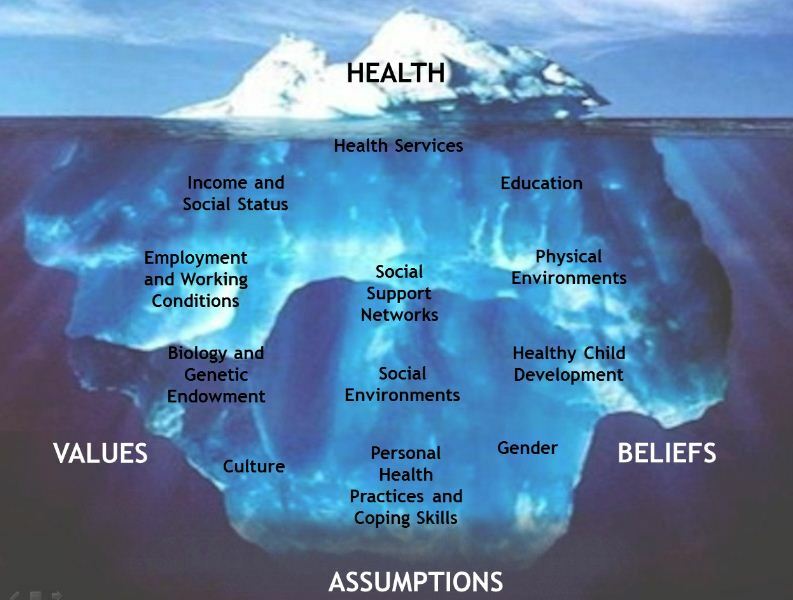 It’s time to start treating social determinants of health as central to healthcare outcomes. To truly care for a patient, providers need to look at the whole patient, not just the moment at which he or she receives care in a professional setting. Office- or hospital-based care can be efficient and effective, but it’s still a relatively sterile setting which isn’t designed to take patients’ non-medical issues into account. That means that providers need to look at how they can help patients overcome access problems due not only to lack of transportation, but also challenges imposed by family responsibilities, such as the need for a babysitter for the patient’s children or respite care giver for ailing parents; educational barriers which may affect patients’ ability to learn about demands imposed by chronic conditions; access to good food and safe exercise and more. In the world of value-based payments, doctors and hospitals can’t let patients’ health slide unnecessarily, or they may find themselves unable to compete in taking losses on at-risk contracts. But there are some important reasons why providers should address these goals. One of the most important is that in the world of value-based payments, doctors and hospitals can’t let patients’ health slide unnecessarily, or they may find themselves unable to compete in taking losses on at-risk contracts. I’d submit that to survive in the new world of value-based reimbursement, providers need to set aside a tangible amount of money dedicated to paying for non-medical supports for care. They could start by offering childcare for, let’s say 10 hours per week or add one day a week of a social worker’s time to their budget, and move up cautiously from there, but they should start somewhere. The new model for healthcare visits — especially for primary care practices and outpatient hospital units — will be based around a social wellness exam as well as a physical one. In addition to asking traditional questions, such as whether the patient has been exposed to smoke, the new exam will involve taking a more thorough inventory of the patient’s nonmedical resources, including the level of support their social network offers, their food, shelter and professional needs and their financial resources. Then, it will be the job of the provider to hook patients up with resources and suggest solutions. The new model for healthcare visits will be based around a social wellness exam as well as a physical one. While this may sound quite daunting, it isn’t necessarily so. After all, nurses and doctors often hear about these issues, and offer whatever support they can on an informal basis — it’s just that the information on a patient’s social/personal needs is never shared in a structured way. All it would take is one well-designed form, plugged into a database to amass population health data, to streamline the process of a social assessment. And if this support model pays off as expected, securing the modestly priced services of a qualified social worker for tough cases should not be a difficult burden. Admittedly, it’s still not clear how offering social support will go to the bottom line. However, it’s intuitively obvious that if patients get help with obstacles to care, they are more likely to get well and stay well. And that is the ultimate purpose of the social process we call medical practice, isn’t it? This is exactly the direction I have been driving at for several years. Transportation and social wellness are critical to potentially stemming or at least identifying chronic illnesses and diseases before they become advanced and even more difficult and expensive to treat.. I have been consulting with FM residencies and free clinics towards a goal of striving to treat the whole person but you are correct we need a tool built into our EHRs – a simple tool and partners in healthcare that will take our referrals including behavioral health. I love this article.